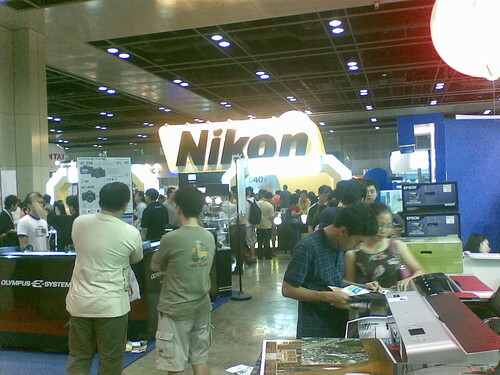 On Sunday my dad and I went to the COMEX computer trade show at Suntec City Convention Centre. It was so vast this year it was spread out across floor 3 and the entire floor space of floors 4 and 6. We ended up spending over six hours there and only covered about three quarters of the exibits! 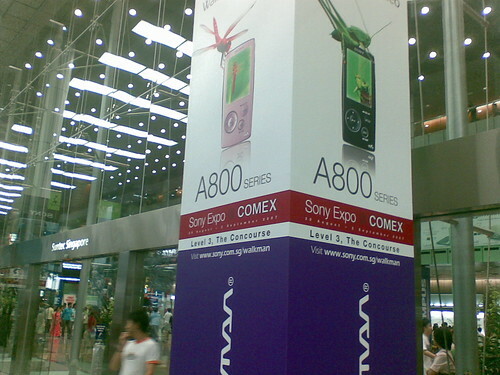 Unlike the IT Show in Singapore which focuses on general consumer technology like high definition televisions as well as computers, COMEX is almost entirely computers and computer-related goods, though there were also many booths for cameras and a few sound system displays. For me it was an experience in itself because it was the first time I used the camera in my Nokia e61i and used the 3G wireless to instantly upload them to Flickr while I was there. You can view the pictures on my Flickr COMEX set page. and a set of Apocalpx computer speakers with… wait for it… a valve tube amplifier! I'm listening to these speakers now and the quality is just stunning. I played Roxy Music's Avalon from a CD and the clarity was absolutely breathtaking. I'll definitely have to put up a dedicated post about them here and review them on the Rubenerd Show. There's something about a glowing bulb showing up on your desk at night while you listen to a smooth jazz track that's just… nice :). 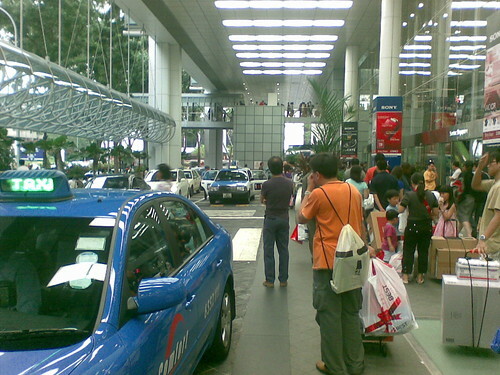 Older post → Singapore magazine misspells Bill O’Reilly!